Fracking protesters have said their fight has just "got serious" after the controversial process got under way in Lancashire. 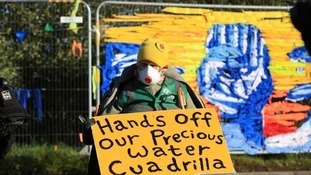 Police closed off Preston New Road in Little Plumpton on Monday morning as about 50 protesters gathered outside energy firm Cuadrilla's site ahead of the start of the hydraulic fracturing process. A police team had to cut a man and woman out of a set of tyres which they had apparently cemented their arms into. Ginette Evans, 60, from Fleetwood, said: “We’ll be monitoring the site 24 hours a day. It is definitely not over, it has just got serious. She said there was a mood of disappointment among protesters. One activist sat on top of a van outside the site with a banner which read “Stop the Start” while another lay down in front of railings. It followed an environmental campaigner failing in a bid to halt the work at the High Court on Friday. A spokesman for Cuadrilla said on Saturday: “Due to the weather conditions yesterday afternoon and this morning, we will now start pumping on Monday. At a hearing in London on Friday, Mr Justice Supperstone dismissed Bob Dennett’s application for an injunction preventing the company from fracking the UK’s first horizontal shale gas well pending his proposed legal challenge. Mr Dennett claimed Lancashire County Council’s emergency response planning and procedures at the site were inadequate, but the judge ruled there was not a “serious issue” to be tried which would justify an interim order. 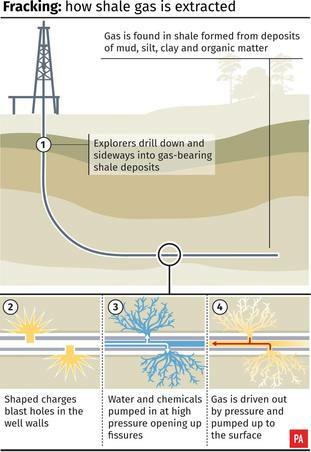 In a statement after the ruling, Cuadrilla chief executive Francis Egan said: “We are delighted to be starting our hydraulic fracturing operations as planned. We are now commencing the final operational phase to evaluate the commercial potential for a new source of indigenous natural gas in Lancashire.